Locust Grove players gather on the pitcher's mound for a conference. As the schedule shifts into the third week of the regular high school baseball season in Georgia, two key tournaments will be played this weekend. The LaGrange Toyota Invitational will be played at a pair of sites -- LaGrange High's Granger Park and LaGrange College. The tournament, which began in 2000, remains one of the top high school tournaments in the state. This year's field includes host LaGrange High, Brookwood, Buford and Johns Creek as well as Pace (Fla.), The First Academy (Fla.), Venice (Fla.) and Florence (Ala.). The Georgia Peach Invitational will be played at Loganville High School and Parkview High. The field includes Loganville, Blessed Trinity, Lambert and Wayne County in Pool A, while Pool B includes Parkview, Lee County, Marist and St. Thomas Aquinas. The Gainesville Times reported in its Feb. 13 editions that assistant Adam Miller has been promoted to take over the Red Elephants' program at the end of the season. Miller will replace longtime coach Jeremy Kemp, who is taking over the baseball program at Cherokee Bluff High in south Hall County. Kemp will finish this season at Gainesville. It was a matchup that seemed more fitting for the postseason. Parkview, last week's top-ranked team, opened its 2018 season on Feb. 19 by hosting then No. 2 North Gwinnett. The Panthers took an early 4-1 lead in the first inning, but North Gwinnett used an eight-run sixth to take a 10-6 victory. 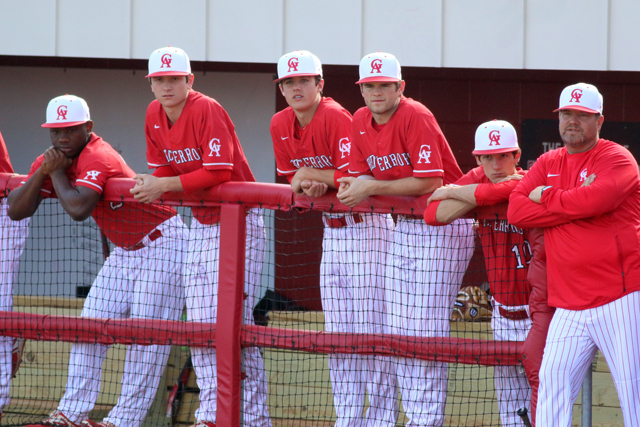 The win sent North Gwinnett to the top of the Georgia Dugout Preview Magazine rankings in Class 7A this week. Michael Borah, Corey Collins, Dalton Pearson and Jayden Perrine had two hits each for North Gwinnett, while Chase McCulloch smashed a three-run homer. It wasn't a lost week for Parkview though. The Panthers rebounded to beat Lassiter, Collins Hill and Buford. Pitcher Braden Hays went 1-0 on the mound, pitching 9 2/3 innings and striking out 10 while allowing just three earned runs. 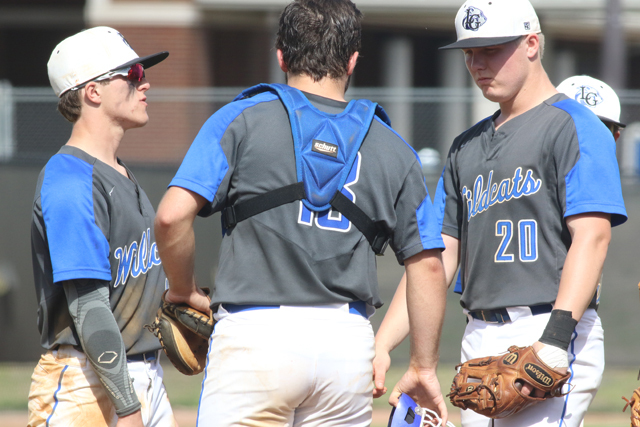 Offensively, the Panthers got plenty of offensive support from Stephen Hrustich (7-for-11, 3 2B, HR, 5 RBIs); Robert Bennett (6 for 11, 2 2B, 3 RBIs); Michael Bryant (7-for-13, 2 3B) and Jonathan French (7-for-14, 3 2B, 2 HR). North Forsyth went 5-0 on the week with victories over Whitefield Academy, Cherokee, Dawson County and two wins over Norcross. Carter Mullikin went 3-for-6 with two doubles and five RBIs, Kyle Martin finished 9-for-18 with a homer and eight RBIs, Caleb Vercek went 7-for-16 with a double and three RBIs, while Clayton Bardall went 6-for-14 with three doubles, a triple and six RBIs. In a 9-8 loss to Johnson-Gainesville, Discovery's Jack Oesterle went 2-for-3 at the plate and scored a pair of runs. Teammate Mark McGuire allowed no hits and struck out five in 2 2/3 innings on the mound against Johnson. Richmond Hill is off to a 6-0 start and a key reason is because of pitcher's like Nick McCullum who hurled a no-hitter in a 3-1 victory over Camden County on Feb. 16. He finished with 16 strikeouts in the game. Coffee's Wade Sumner earned a complete-game victory in a 4-0 victory over Ware County. Sumner allowed just a hit, two walks and struck out nine. River Ridge pitcher Aaron Osada earned victories against Etowah and Lassiter. Against Etowah, he allowed just a hit in four innings while striking out six and allowing no earned runs. Against Lassiter, he pitched 4 2/3 innings and allowed three hits, an earned run and a walk while fanning five. North Oconee pitcher Kumar Rocker had a big game in a 5-0 victory over Islands. The senior pitched four innings, allowing just one hit and striking out nine. At the plate, he went 2-for-2 with a homer and two RBIs. LaGrange High pitcher John Morgan helped the Grangers to a 1-0 victory over Columbus High on Feb. 21. In seven innings of work, the senior allowed just five hits, struck out two and didn't allow a walk. He threw just 73 pitches. Blessed Trinity's Josh Voss helped the Titans to a pair of big wins. In a 6-0 victory against Walton, he went 2-for-3 with two homers and five RBIs. One of his homers was a grand slam. Against Cartersville, he drove in the winning run in the bottom of the seventh in a 2-1 victory. St. Pius X pitcher Will David earned the complete-game win in a 2-0 victory over Marist on Feb. 21. David threw just 79 pitches. He allowed just two hits, no walks and struck out nine. In a pair of wins over Dougherty and Seminole County, Westover High players finished with some impressive numbers. Outfielder La'Borris Buchanan batted .727 at the plate with a double and three RBIs. He scored eight runs and stole seven bases. Third baseman Jordan Walton batted .500 with six runs and four stole bases. Second baseman Rodney Bullard and catcher Kedarrius Copeland both batted .400. Copeland finished with four RBIs, while Bullard finished with three. In two pitching appearances, Davis Spalinger struck out seven and walked one in 5 1/3 innings. He also batted .375 with five RBis for the week. Redan's Kelvin Smith powered the Raiders at the plate in big victories over Grayson and Decatur. Smith went 1-for-2 with a homer against Grayson and 2-for-3 with a homer and double against Decatur. Pitcher Kameron Marshall allowed just five hits and an earned run, while striking out 10 in the 9-1 victory over Decatur. In three games against Richmond Hill, Bleckley County and Greenbrier, Ringgold got strong performances from pitchers Wyatt Tennant (5 IP, 1 hit, 12 strikeouts), Holden Tucker (5 IP, 2 H, 7K) and Nathan Camp (6 IP, 3 H, 0 runs, 7 K). Tucker went 4-for-11 at the plate, while Andre Tarver went 8-for-10 at the plate. The Tigers finished 2-1 in the three games. Metter's Thomas Aldrich went 4-for-4 from the plate in a 2-1 loss to Tattnall County on Feb. 22. Banks County's Grant Rylee and Dylan Greenway combined on a no-hitter in a 15-0 victory over Cedar Shoals. The duo also combined for 12 strikeouts. Irwin County freshman Brodie Chestnutt earned the first win of his high school career against Clinch County on Feb. 20. He earned the complete-game win while striking out eight and allowing just two hits. He was also 2-for-3 at the plate with a pair of RBIs. Pelham High's Levi Jacobs had a big night in a pair of victories over Chattahoochee County on Friday. Jacobs went 3-for-4 at the plate with an RBI, scored two runs and stole two bases in a 14-4 Game 1 victory. Jacobs then went 2-for-3 with a run and an RBI in a 10-0 victory in the second game. Teammate Dakota McEntyre earned the victory on the mound in Game 2. He pitched five innings of scoreless baseball and struck out 10. Fellowship Christian had a big week with victories over Weber, Creekside and a pair of wins over Stephenson. In that stretch, junior Isaac Bouton went 8-for-13 at the plate with a double, two triples and four RBIs. Teammate Preston Joye finished 7-for-14 with a double, triple and four RBIs. On the mound, Kurtis Royalty hurled a complete-game shutout against Weber and struck out 10 while walking none. Bouton also recorded a complete-game victory and finished with 12 strikeouts. In a 9-1 victory over Mount Pisgah Christian, Providence Christian's Simon Graf allowed just two hits and one run on the mound in 5 1/3 innings. He struck out 10 and walked one.